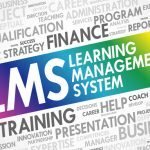 If you are choosing a learning management system then you have hundreds of options and the best LMS for training providers may differ from those suited to other types of company. Regularly updated, here we offer a 2019 list of what we believe are the leading LMS options for specialist training companies. We have based our analysis on Cost of Ownership, Features and Functionalities, Development Pathway, and Future Proofing of your purchase. There are reportedly over 1000 LMS on the market and we have selected just a few, but these are products we would seriously advise you as a training company or in-house training department to put on your shortlist. We have used and deployed many of these learning management systems on our own projects, as well as projects for our clients. Elsewhere on our site, we provide shortlists and reviews addressing LMS options for large organisations, mid-sized companies and SMEs. We also signpost top elearning solutions for various industry sectors. If you wish for us to give you a view on the best LMS for your organisation, please get in touch. One of the most evolved LMS on the market in the UK. Virtual College has led the UK market aligning and configuring their LMS for the needs of Training Providers and Further Education, including Apprenticeships. Within the Enable LMS, reporting is rock solid and competencies and e-portfolios are highly evolved, driven by Enable’s excellent assessment functionality. Enable is a good solution for blended learning delivery. Virtual College have a large library of content and strong content development skills. Virtual College offer first line learner support. This means any learners “having issues” are fully supported, and we see this as a crucial factor in delivering any new e-learning programme. This is learner support, not technical support! No obligation demos are available. Virtual College have introduced VOOCs (Vocational Open On-line Courses exclusively trademarked by Virtual College) which are looking like a very innovative and exciting development pathway and another good reason to consider Virtual College. Pricing is very competitive and both support and development are excellent. Here you can see our review of Enable. Favourite feature – first line learner support and the VOOC concept is just great. 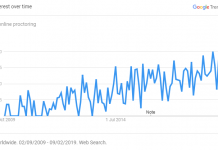 What can we say about Moodle – the world’s most well-known and used learning platform? 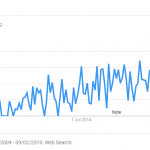 Moodle is a phenomenon. It’s an open source LMS, which can mean a low or even zero cost of ownership other than hosting and maintenance – and this makes for a compelling offer. We have seen examples of great Moodle instances from experts, but some truly awful Moodle instances when a DIY job has been done. To get a great instance, you will need expert in-house skills or a solid Moodle Partner. There are many certified services providers to choose from, but one of the most interesting new specialist providers is Titus Learning – one of the top Moodle Partners who are building an impressive body of case studies and information. Moodle can offer great value and great functionality. The best solution is to work with a Moodle Partner to make sense of the huge numbers of blocks and keep up with the regular upgrades and the community’s ever changing developments. Pricing is dependent upon the project, but Open Source can be very cost effective, and if you ever want to leave your provider, you can keep your LMS as-is, and bring in another developer to support your platform and continue in its ongoing maintenance and development. Favourite feature… freedom from vendor lock-in as it’s an open source platform, plus the passionate community of developers worldwide, who drive continuous improvement in this LMS. This learning platform is all about delivering training for customers and clients – and it does this job extremely well! Calling itself a Customer Learning Platform, Thought Industries is an excellent choice for training companies (or any organisation delivering training to their clients, franchises or channel partners), with strong emphasis on monetisation. This platform is designed to deliver high-definition content, and core areas of strength are its flexibility, delivery of learning at the point of need, certificate management, reporting, and the marketing and sales of your elearning. APIs and Webhooks enable Thought Industries to integrate seamlessly with CRM, HRS and a range of other systems. This is a comprehensive LMS with lots of up to date features covering most of what you will need in any training organisation or department. Features include classroom alignment, lots of integration options and APIs. Docebo also has a content market place, which is useful. There is a 14 day free trial. Pricing is transparent and pay as you go offers good value, future development pathways look good as well. Established for over 17 years, iSpring have over 49,000 clients across the globe, including 148 companies from the Fortune 500. They have developed their impressive LMS – iSpring Learn – to empower teams, with particular focus on the areas of Employee Onboarding, Product Training and Staff Assessments. Here you can read our review of the iSpring Learn LMS. 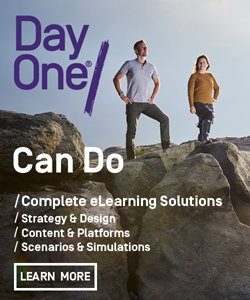 Favourite feature… the integrated authoring tool, which allows allows L&D professionals to start simply but then quickly to become sophisticated elearning aficionados. 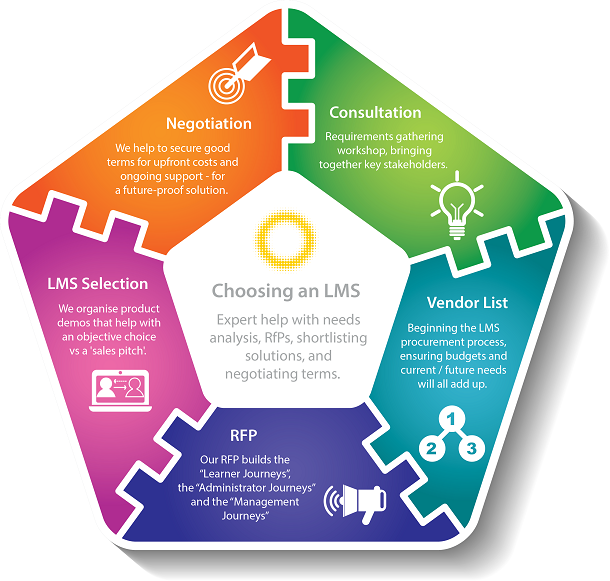 This is that rare LMS that is 100% aligned to training organisations and consequently is the Dutch market leader. 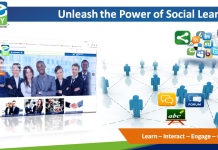 aNewSpring provides one of the most comprehensive learning management systems on the market, supporting mobile delivery and integrated social learning. It has its own content creation and importing environment, and many more features, including adaptive learning pathways. Links well for trainers developing blended learning programmes. This product can be ready to go in a very short time. Memo Trainer is a nice addition as it keeps learners engaged and on-track. Pricing is very competitive and transparent indeed as it has no set up costs and fully future proof. The product support looks excellent as well. There is free demo to let you create courses straight away. Favourite feature….you can be up and running creating courses before you pay a penny and we love Memo Trainer! Kallidus is the blue chip LMS in that mid-corporate training space and offers top of the range learner management and reporting features. Kallidus links well to blended learning and offers resources management, while ROI calculation is also provided. Kallidus’s learning administration functionality is excellent. 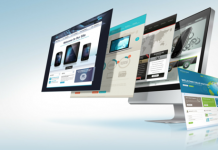 Kallidus as a company has good content development capability as well. Demo’s are available and Kallidus has a great reputation for listening to its customers. Kallidus has a defined development pathway, moving into SaaS and mobile, as well as talent management. Pricing is offered with a great deal of flexibility provided in licencing and SaaS options. The Nimble LMS from Nimble Elearning is a skills orientated learning management system that is engaging and effective to use. With a strong focus on the learner, this “lite and elegant” solution includes a very good authoring tool: Nimble Author. Nimble Author comes with templates and royalty free images to accelerate content development. Nimble Elearning offer a number of off the shelf courses as well. Nimble Elearning are certainly innovative and appear to have a well thought through approach to learning. We are confident this will translate into continued product development. Pricing: For value for money at the let’s get going end of the market – this is a good solution. Favourite feature… Nimble Author is free and supports collaborative content development. 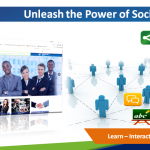 LearnUpon offers a simple and effective e-learning platform designed mainly as an LMS for training companies. It can handle SCORM and other content. 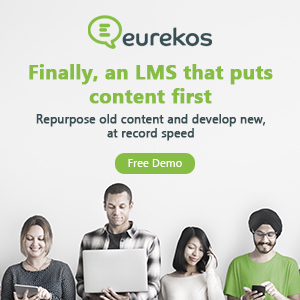 It is probably the best LMS we know for simply uploading content and managing content. It is particularly strong at e-commerce, marketing and promotion, and as such is ideal for commercial training providers. 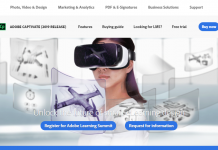 The development of LearnUpon to date has been impressive and the company has a robust development pathway, as well as market leading uptime and product support. Pricing is very transparent and offers good value on a pay as you go model, with no contractual tie-ins. 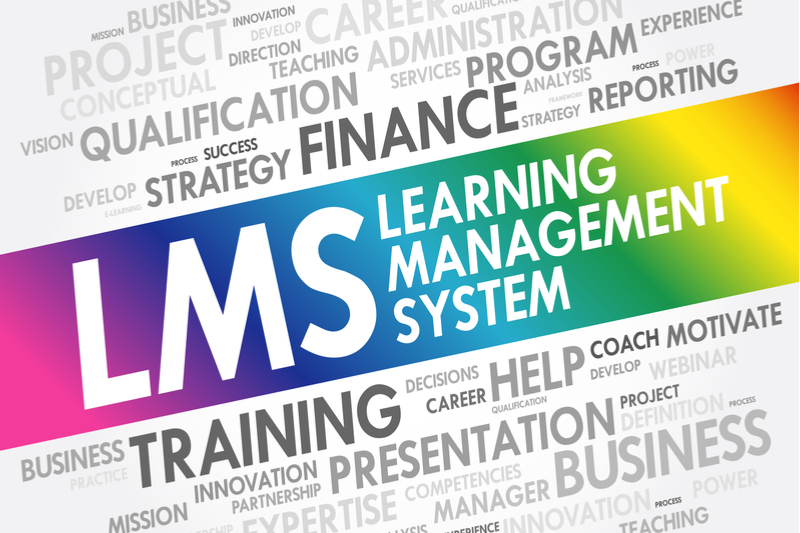 The friendly LMS as it brands itself, Litmos was the pioneer of the pay as you go LMS. Litmos offers a nice development environment to import or build courses, nothing fancy, but functional and easy (friendly) to use. Litmos is a long way down the Tin Can route and the platform can operate as an LRS (Learning Record Store) in recording Tin Can statements that are linked to the LMS. Litmos is part of Callidus Cloud – a much larger organisation so future development will be we would assume, assured. Pricing is clear and transparent and ideal for small and medium sized organisations. New addition to the list – and an interesting option for training providers seeking bespoke development of a white label learning platform for their clients. Day One have created training solutions for some of the biggest companies in the UK and Europe, with clients including the likes of Lloyds Business Banking, TSB and ghd. If you’re a training company that wants to introduce an LMS that completely fits your own branding or that of your clients, then Day One’s white label elearning solutions could be ideal for creating an engaging, bespoke experience that fits in seamlessly with your existing offerings. A good LMS is important for helping organisations to deliver the latest content to their learners 24/7, and is one of the top HR and training tools used by leading companies to manage and develop their staff. We hope this list of the best LMS for training providers will prove useful if you are choosing one.